For those looking to try out new things this week, we’ve got a whole selection of amazing items that’ll set the mood just right for you. We’ve put together some new incredible launches that will eliminate winter dullness as well as rejuvenate and revive your skin. And even some new fashion bits we are obsessing over. Here are the hottest new launches you need to get your hands on ASAP! 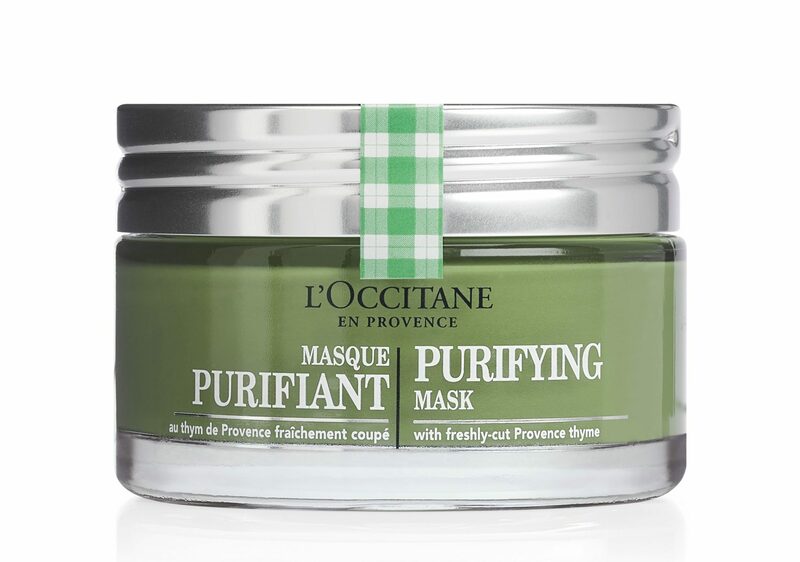 Launching in May is this natural mask made from freshly-cut, organic thyme from Provence to help absorb excess oil and gently exfoliate skin. In addition to this, is also a Radiance Scrub and a soothing, Blackcurrant-based mask in the new collection. We’re totally obsessing over this face oil from Korres Wild Rose new collection. A powerful brightening oil infused with real rose petals and vitamin c. 100% more stable than pure ascorbic acid for a brilliant glow. Not only are the Mineral Salt Bath from DayTox vegan and cruelty-free but they’re 100% natural blend of Aloe Vera, Broccoli and Citrus. Made to soothe skin, replenish lost moisture and stimulate cell renewal. Treat your skin to the best relaxation with DayTox Mineral Salt Bath. Made from a unique blend of super nutritious botanicals. A naturally nourishing oil for multiple uses. Balmonds bath and body oil is totally free from parabens, petrochemicals, preservatives as well as perfumes, which makes it perfect for dry skin and is also suitable for people who may be prone to eczema, psoriasis, dermatitis as well as dry, itchy skin conditions. These Sugary slides by Paradox London feature a flat sole with an open toe front and three strap hold the foot cut-out detail. Amazing pair to show off your pedicure. With an array of colours to choose from, this is perfect for spring summer. Smooth and plump tired skin with Sond Sidekick day cream. Enriched with Shea Butter, Pomegranate Flower extract, Silica and Pentavitin to moisturise and soothe dry irritated skin as well as improve the skin’s barrier for better defence against any irritation. You can be sure the Sond Sidekick Day Cream will leave your skin soft and silky smooth all day. KORRES Ginger Lime Body Milk contains a nourishing formula that absorbs quickly into skin. Enriched with Almond Oil, Aloe Vera and also Shea Butter. Helps deliver long-lasting moisture and well as hydration leaving skin soft and supple. This new lightweight full coverage foundation by Marissa Carter is everything it says it is and more. A water-based formula that helps create impeccable beauty looks and flawless finish. Available in 12 shades for just £11 each. Absolute bargain right?! This stunning gown screams summer I’m here. Featuring a deep plunge neckline to the waist, gathered long sleeves, and a flowy wrap skirt. A bright contemporary addition to any dull wardrobe. Karl Lagerfeld will be launching some stunning men’s and women’s watches in September. Styles are crafted from stainless steel with a mix of gold, rose gold as well as gunmetal plating. While key colours include black and gold. Missguided Babe Power Roll On is just the cutest. An ultimate quick-fix fragrance. Featuring a vibrant splash of grapefruit zest and sour cherry, sharpened with crisp apple as well as pink pepper.